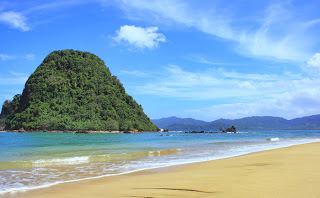 Banyuwangi, located in Jawa Timur Province just across the Strait with Bali is little known but has some great places to visit especially if you are a sufer as then you should head out to Plengkung Beach. 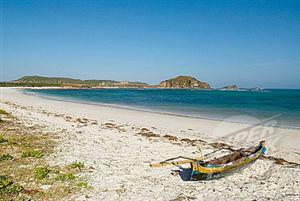 Plengkung Beach is located on the southern coast of Banyuwangi, at the end of Jawa Timur Province. 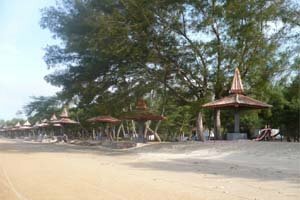 Plengkung Beach is usually called as G-Land by many tourists. The letter "˜G' means 3 things; G for grajagan means the name of a place which has big wave; G for green means this beach is still natural for it's located on the edge of green tropical forest; G for great describes the big long wave. 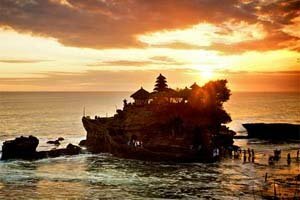 Plengkung Beach is a beach with some of the best wave in the world and a paradise for my both local and international surfers. 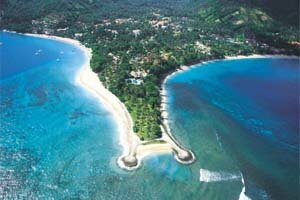 The waves at this beach ar four to eight meters high and roll on for two km with seven arranged wave formations. A beach with these characteristics can only be found in some countries like Hawaii, Australia and South Africa. Many world-class surfers call this beach as The Seven Giant Waves Wonder. There are several world surfing competitions held at this beach, one of them is Quiksilver Pro Surfing Championship in 1995, 1996 and 1997. To be able to enjoy the great wave at this beach, come between July "“ September for at those times the wave is reaching its top performance for surfing. There is surfboard rent available if you don't bring one. Besides surfing you can also watch the amazing sunset and go on an adventure in the nearby Alas Purwo National Park. 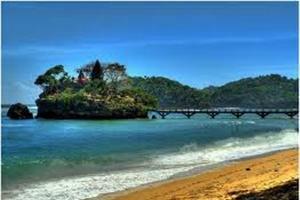 From Banyuwangi you need to get to Tegaldlimo which takes about 2 hours using local bus. From Tegaldlimo continue to go to Pos Pancur which is located in the Alas Purwo National Park (30 minutes to an hour trip). From Pos Pancur you have three options to get to Plengkung Beach : going on foot for about 2 hours, renting motor, or by jeep from Alas Purwo National Park management. 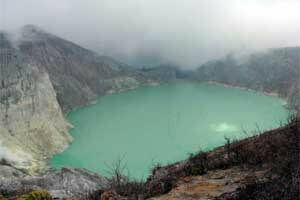 Banyuwangi is also reachable by train. The city has several train stations where long-distance trains stop: station Banyuwangibaru, station Glenmore, station Kalibaru, station Kalisetail, station Karangasem, station Rogojampi, station Sumberwadung, station Temuguruh. Look for trains to Banyuwangi. 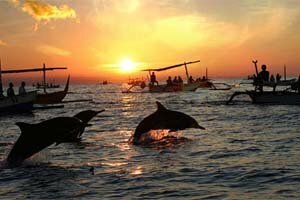 Look for more Cheap Flights to Banyuwangi. Look for more Trains toBanyuwangi.